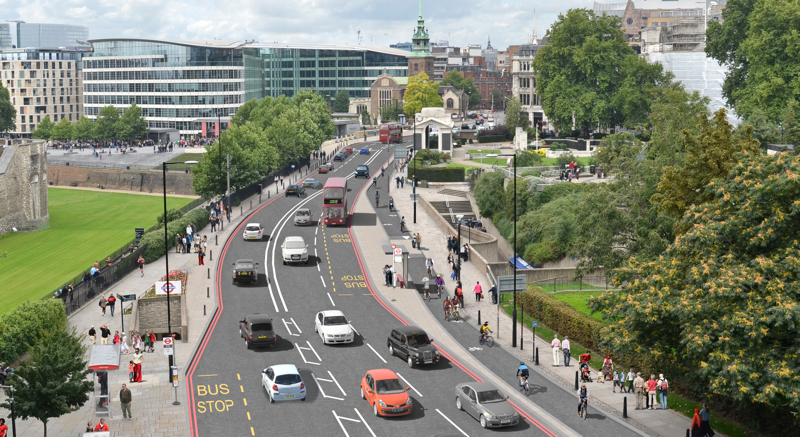 Microsoft joins over 120 employers who have sent letters of support for the Cycle Superhighways – including RBS, Unilever, Orange, Deloitte, Coca-Cola, the Financial Times, and law firms Olswang, Allen & Overy, and Herbert Smith Freehills. The two superhighways will join up existing and planned cycle routes and will have the capacity to move 6,000 people each hour; the equivalent of 20 extra Tube trains or 82 additional London buses. Microsoft UK CEO Michel Van Der Bell writes : “Other cities that have invested in segregated cycling infrastructure have seen dramatic increases in cycling and reductions in injuries as a consequence. We want to see the same benefits here in London.” Microsoft employ 2,200 people across 5 London offices. A recent YouGov poll of over 1,000 Londoners from all backgrounds found massive support for the cycling plans, with 73%* of residents in favour, even after learning that a lane of motor traffic will be reallocated to cycles. (*Excluding Don’t knows). Support from both businesses and residents is building as London prepares to mark the first anniversary of a spate of deaths in the city, when 6 cyclists were killed over a two-week period last November. A total of 14 London cyclists were killed in 2013. CyclingWorks.London encourages businesses to respond to Transport for London’s plans for cycling infrastructure in central London. Over 120 leading London businesses across technology, finance, property, entertainment and law have now stated strong support for the plans.